Oftentimes the next business move is not at all clear. Extensive research, experimentation and innovation are required. With this in mind, I’ve assembled, over the years, a toolkit of resources to aid in the profiling and monetization of latinos. After harvesting data from over 85 million Hispanic website visits I’ve gained a world class understanding of Hispanics preferences and pain points (across a wide variety of industries and geographies). Obtain upon request eCommerce Guides from the major LatinAmerican economies. 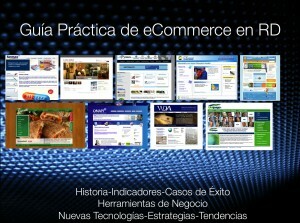 Or purchase online the guide for eCommerce in Latin America and the Caribbean (available in Spanish). Other countries and languages available upon request. You may click the image to preview the reports at GumRoad (the report includes, 360 slides, 114 files and over 2500 pages of information). Read Bloomberg Businessweek’s commentary on my research about eBusiness solutions targeting Hispanics or buy the case from the Harvard Business Review collection.